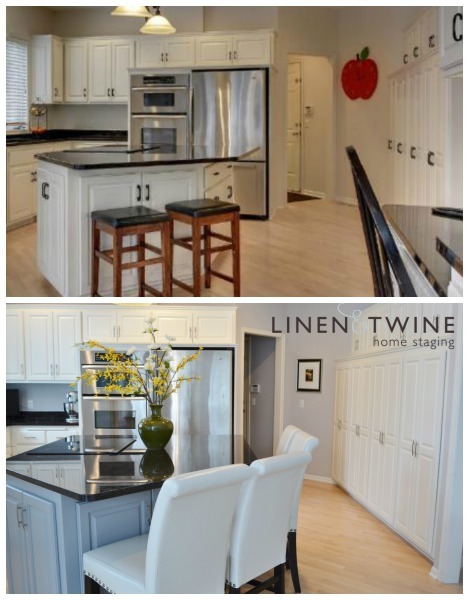 During the staging consultation, we will tour your home giving you detailed recommendations for each room to help you prepare for a quick sale. The consultation usually takes 2 hours. After the consultation we’ll provide you a prioritized list of “to-do” items, and if necessary, paint color recommendations and other resources to present your home at its best. We know what buyers are looking for and will work within your budget to stage your home, creating a warm and inviting atmosphere. For occupied homes we’ll work with your existing furnishings making recommendations to de-clutter, depersonalize, and arrange furniture and décor to highlight the best parts of your home. Rental furnishings are also available at a reasonable cost. "Laura was so great! She came to our home and walked every room with us, making recommendations and painting a picture for what staging could do. The end result was beautiful and our home sold in 3 days with 6 offers!" You don’t have to buy a new home, or all new furniture to update your surroundings. By working with the furnishings you have, adding some new pieces or just changing some wall colors, we can make your home feel fresh, new and welcoming. If you’ve ever repainted a room, you know that changing a wall color can transform the look and feel of a space. With all of the paint and color choices available, it can be very overwhelming when it comes to choosing the right colors for your home. We can help! Our knowledge of current design trends and experience in selecting the right color or colors will create the exact mood you're looking for to fit the lighting and architecture of a home.